We started off in RI. Our heritage means a lot to us, and we continue to be active in our local community. Our local customers mean a lot to us, and we still have the vast majority of our RI custom t-shirts meetings in person with our Providence, Warwick, and Cranston customers. Some of the compliments that we receive from our RI customers are regarding the fact that we are always on top of the newest fashion trends, and always have the hottest, newest apparel readily available. 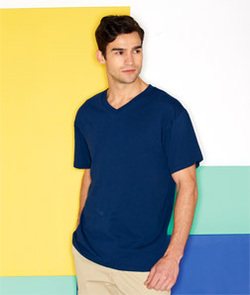 One great example of a new t-shirt for 2013 is the Fruit of the Loom Heavy Cotton HD V-Neck. The shirt is stylish and offers a slightly heavier weight than the standard v-neck. Contact us at sales@adspecialtyproducts.com or give us a call to discuss your screen printed and embroidered apparel projects!